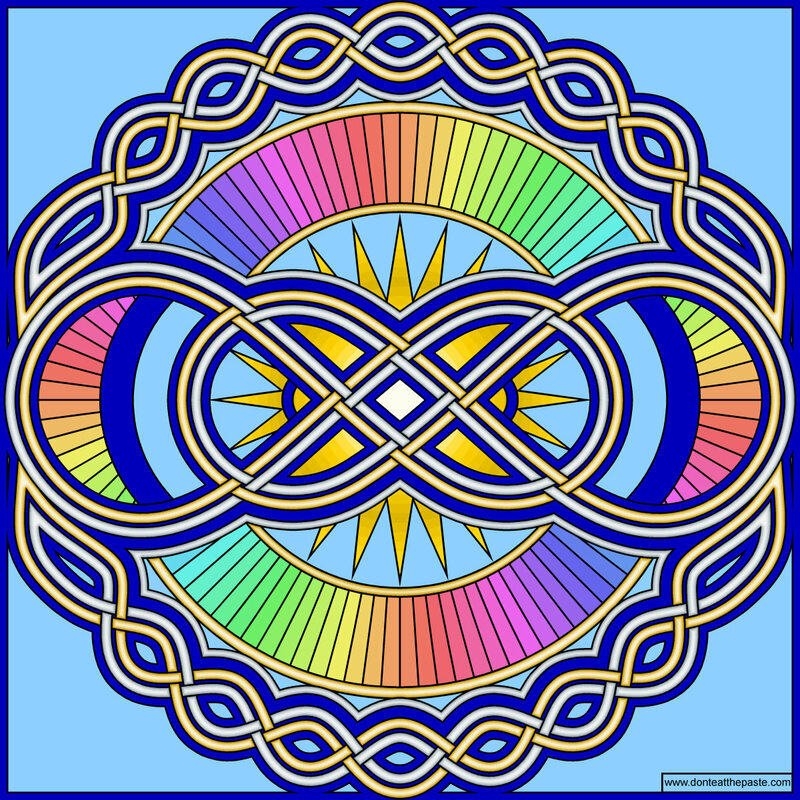 I used that basic concept as the inspiration for this mandala of two interlinked infinity symbols framed by twists which reinforce that, a star, and the rays design. 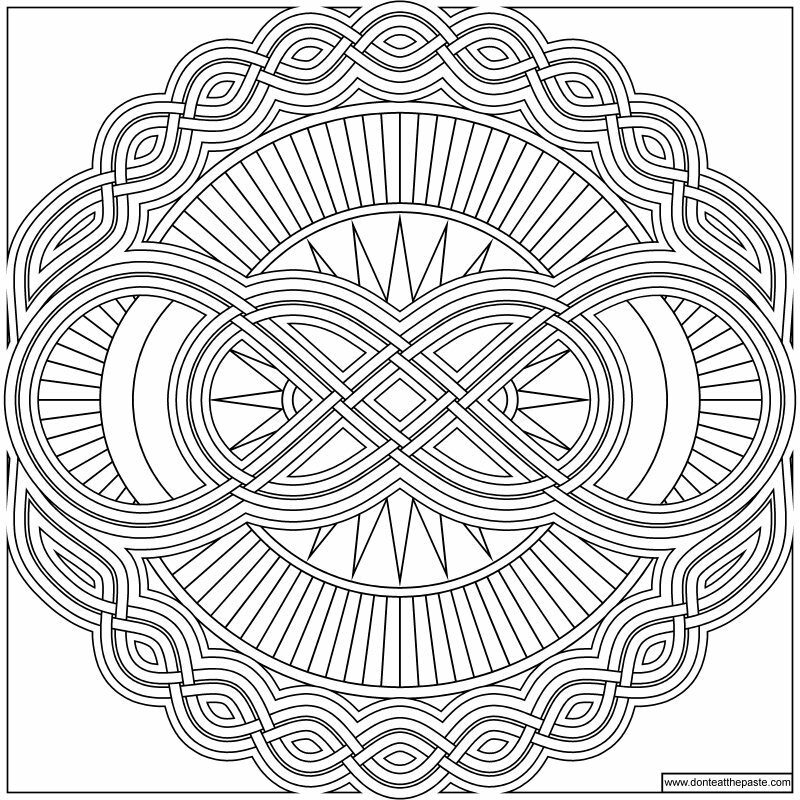 I like the idea that no two colorists are going to use the exact same colors, that there are so many ways to color this in and so many different visions and ideas for the best colors to use on any coloring page. 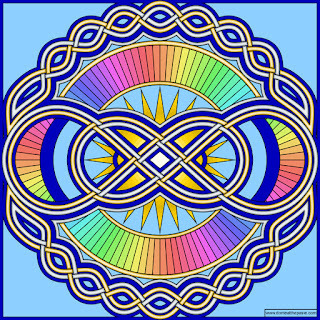 That there is no one right way, but rather, as many right ways as there are colorists. It appeals to the hippie in me, that there are so many things that are right for individuals and that it doesn't have to be done the same way for everyone. 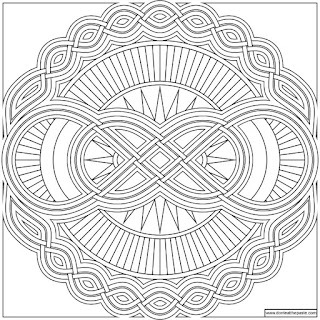 So click the images below to for large versions of this infinity mandala to color! I hope you enjoy it.